The city of Milan, one of the largest in Europe, has always been of global economic and cultural importance. Some of the greatest families of violin makers, including the Grancinos, the Testores, the Landolfis and the Mantegazzas, produced numerous exceptional instruments there from the late 17th century for over a hundred years, and G.B. Guadagnini worked in the city for almost a decade in the middle of the 18th century. Sadly these makers’ traditions were lost during the 19th century and by the 1830s it was Turin that had emerged as Italy’s main center of fine violin production. By then Milan’s once exceptional and highly productive violin making school was left in the hands of a single excellent and interesting violin maker – Giacomo Rivolta, who despite his ability nevertheless lived in poverty and had no stylistic descendants. During the period leading up to the Risorgimento, Italy’s violin making was in a dire state, while foreign schools, led primarily by the French aesthetic of the Vuillaume school, rose to prominence. Only during the second half of the 19th century did a couple of talented Milanese makers appear on the scene: the interesting work of Luigi Bajoni is scarce, while that of the prolific and stylistically similar Giuseppe Tarasconi, a native of Parma who worked in Milan, is too individualistic and at times eccentric to be considered traditionally Milanese. The modern Milanese school began its ascent following the arrival there in 1870 of Gaetano Antoniazzi from Cremona. It was primarily his sons, Riccardo and Romeo, as well as their pupil Leandro Bisiach who drastically reversed the city’s disappearing craft and began to re-establish its former grandeur. Their work was substantially Cremonese in character and style; none of them failed to mention their heritage or schooling on their labels. By the turn of the 20th century Bisiach’s business was booming and after the Antoniazzis left his employ he began to train or employ a large number of other talented craftsmen, including Gaetano Sgarabotto and, later, Giuseppe Ornati. In the meantime a separate group of makers in town was also being trained by the Antoniazzis; the best of them were Erminio Farina, Giuseppe Pedrazzini, Ferdinando Garimberti and Piero Parravicini. By 1920 Milan was probably equalling – if not outproducing – Turin with about a dozen fine craftsmen turning out at least a hundred instruments per year. The work of Ornati and Garimberti represents the culmination of the Antoniazzi–Bisiach school. With their contribution, as well as that of their contemporaries Ansaldo Poggi and Simone Sacconi, modern Italian violin making reached its apotheosis. 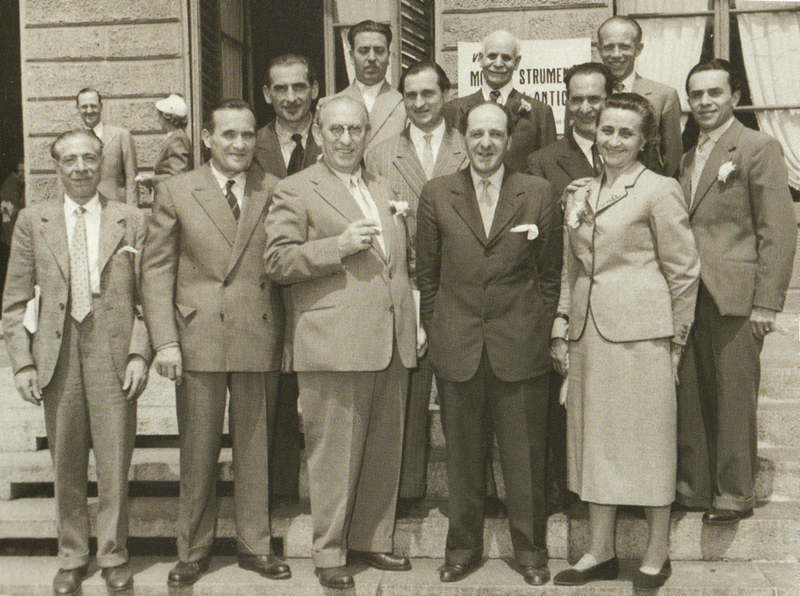 This final generation of fine Italian makers picked up where Fagnola, Oddone, Fiorini and Pollastri had left off, driving their influence well into the 20th century – including the last decades of the 20th century, where it can be seen in the best work of such makers as Giovanni Battista Morassi, Francesco Bissolotti, Giuseppe Lucci, Renato Scrollavezza and Giancarlo Guicciardi. Born near Milan into a modest family, Ornati initially trained as a carpenter but quickly turned to making stringed instruments. By the beginning of 1901 he had moved to Milan itself, where at about the age of 13 he learned the rudiments of violin making from Luigi Montanari, himself likely a pupil of Riccardo Antoniazzi and a craftsman for Bisiach. In 1903 Bisiach accepted Ornati into his workshop, initially to work alongside Sgarabotto. Though by the early 1910s Ornati also began making a few instruments independently, his personal and working relationship with the Bisiachs remained strong throughout his life. Bisiach even entrusted to Ornati the training of his own sons, who admittedly did not themselves become great violin makers, continuing in their father’s steps as employers. Ornati also excelled in restoration and the Bisiachs continued to employ his skills in this capacity. During World War I Ornati worked as a carpenter at the Caproni airplane factory. After the war, in around 1919, he embarked on his highly successful career as independent violin maker, winning a first prize for a violin at the National Competition Rome in 1920. He continued to participate in other national competitions, winning high prizes and honors until as late as 1963, in Liège, aged 76! In 1921 Ornati married Nella Ferrari. His only child, Cornelia, was born the following year, although sadly she was to die early in 1953. A fine 1926 violin exists bearing the inscription ‘Dono a mia figlia Cornelia’ printed on the label. 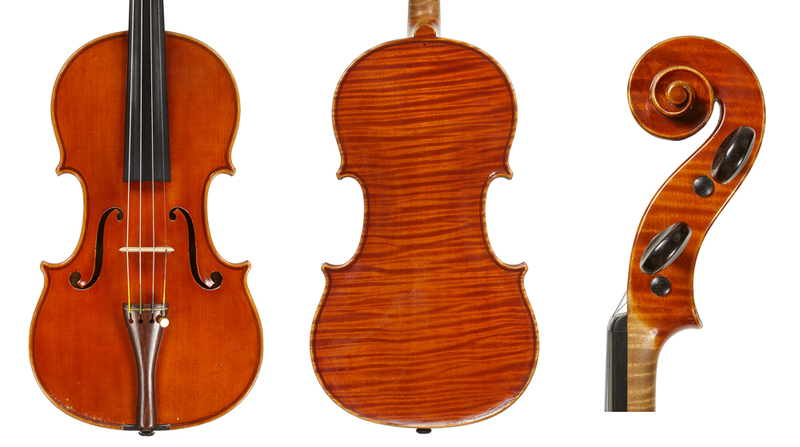 Ornati was an active member of a number of violin makers’ associations, including the prestigious ANLAI (Associazione Nazionale Liuteria Artistica Italiana). He was considered an expert in old instruments, in which he dealt to some extent, and also taught at the Cremona violin making school from 1961–63. His character was reputedly open, gentle and affable, and he played the cello as an amateur. In 1952 he was nominated Knight of the Italian Republic. He died of a heart attack in 1965, aged 78. Garimberti was born near Parma, but in 1902 his blacksmith father moved the family to Milan and opened a trattoria there. It was in this context that the young Ferdinando met Romeo Antoniazzi and in around 1910 learned the rudiments of violin making from him and his brother, Riccardo. He soon met Bisiach and, through him, Ornati around the same time. In 1915 he was drafted into the army and posted to Turin. His skill as a carpenter for the army allowed him to avoid direct combat. His brother, Eugenio, was not so lucky and was killed at the very end of the war; their mother, Celeste, died of grief shortly thereafter. Ferdinando remained in Turin, where in 1919 he married Maria Zanello and began working for Fiat as a milling machine operator, but soon after opened a wine shop. However, Garimberti was unable to resist his true vocation, and he returned to Milan in 1921 to collaborate with Bisiach and Pedrazzini, making instrument parts for their workshops. Developing an independent business in the competitive atmosphere of Milan in the early 20s was an extremely difficult task. In this regard Ornati, as a pupil and friend of the Bisiachs, had an easier time of it; his warm and easygoing personality must also have helped. By contrast Garimberti appears to have been proud, brash and impatient, once even proclaiming that he was a pupil of no one. He likely felt resentful of the fact that the established Milanese makers, who at the start of his career had been interested in his skills in order to speed up their own production, were now not as accepting of him. Despite this, through the perseverance and excellence he showed during his long career, Garimberti reached heights similar to those of Ornati; ultimately they were the only two makers who won real fame and respect in Milan during that era. During his 20s Garimberti did his best to acquire knowledge of violin making through reading, while also improving his violin and cello playing. His efforts paid off, as in the early 1920s he attracted the attention of local, high-profile musicians, which enabled him to set up independently. In 1924 he experienced the trauma of his father’s death by suicide. Later that year his only child, Eugenio, was born. His brother Afro, eight years his junior, also joined his workshop and during the mid-1920s the brothers collaborated under the brand of Ferdinando & Afro Garimberti. At this time Afro also made some violins for himself but soon left the profession. Afro’s few instruments are much like his brother’s, though heavier and not as perfectly made; they have been further obscured by relabeling – mostly to be sold as the work of Ferdinando or Pedrazzini. It was during the 1950s and 1960s that Garimberti’s stature in the profession reached its peak. His wife, who died in 1960, was always at her husband’s side and even helped him in the preparation of the purfling and the ribs, as well as varnishing. 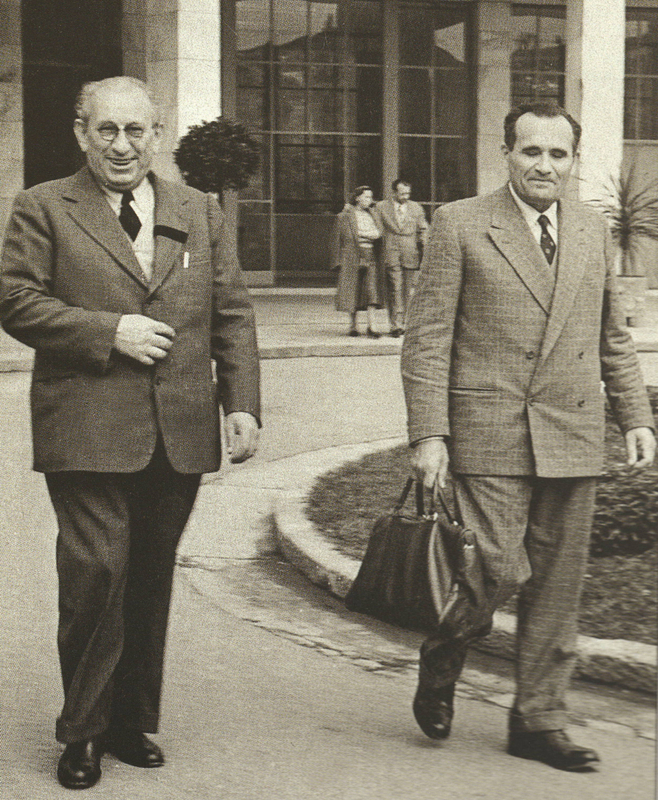 Ornati was both Garimberti’s rival and friend, and the two men were actively engaged in the violin making life of northern Italy after World War II, serving as judges in its numerous violin making competitions. 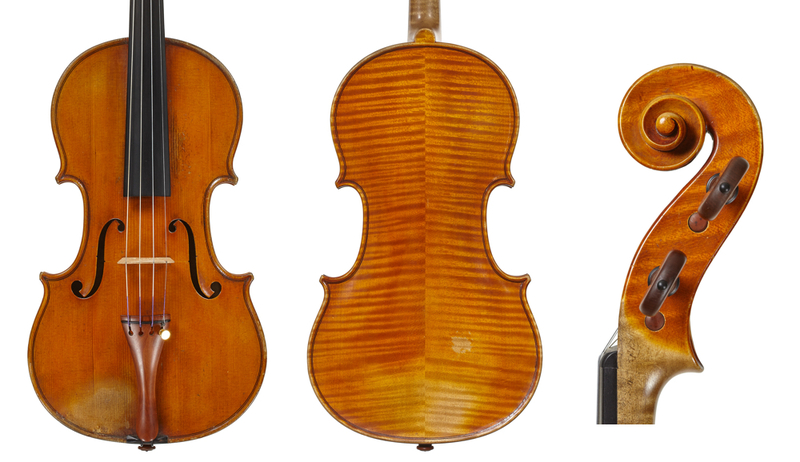 In 1961 they were also heavily involved in the selection process leading to the acquisition by the city of Cremona of the 1715 Stradivari originally known as the ‘ex-Joachim’ but later renamed the ‘Cremonese’. In 1962, ten years after Ornati, Garimberti also obtained the title of Knight of the Italian Republic, while from 1963 to 1966 he took over Ornati’s teaching position at the Cremona violin making school. A fellow teacher during that time was Simone Sacconi and the three men would no doubt have exchanged ideas and experiences throughout the mid-60s. Garimberti died in Milan in 1982, aged 88. In part 2 Dmitry Gindin examines the work of Ornati and Garimberti. Giorgio Grisales, Giuseppe Ornati, Edizioni Novecento. Giorgio Grisales, Ferdinando Garimberti, Edizioni Novecento. Eric Blot, Liuteria Italiana vol.2, Lombardia e Veneto, Eric Blot Edizioni.